You guys. I NEED new content, stat. This is the last recipe/bunch of photos I’ve got stockpiled – I’m not 100% positive, but I don’t think there’s anything lurking on my SD cards. I’m hosting Friendsgiving this weekend so I’ll be able to wrangle a post or two out of that but I need to get cracking on some new material. Problem is, I’m at a loss of what to post. So if there’s anything you’d like to see/hear about feel free comment here or on my Facebook page! 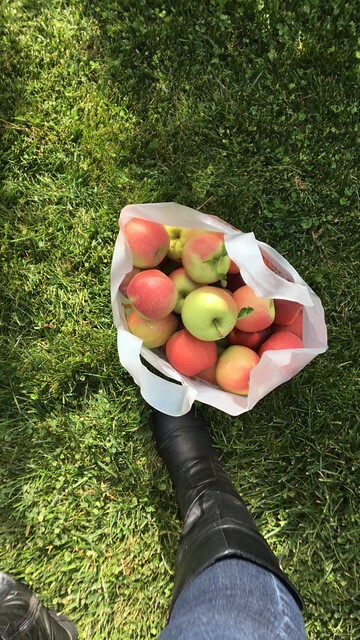 Two weekends ago my bestie and I had a girls’ day that included brunch, apple picking at a local orchard, and then heading back home to have some dinner and watch college football. The apple picking was a lot of fun, even if it was an unseasonably hot 82 degrees in October. 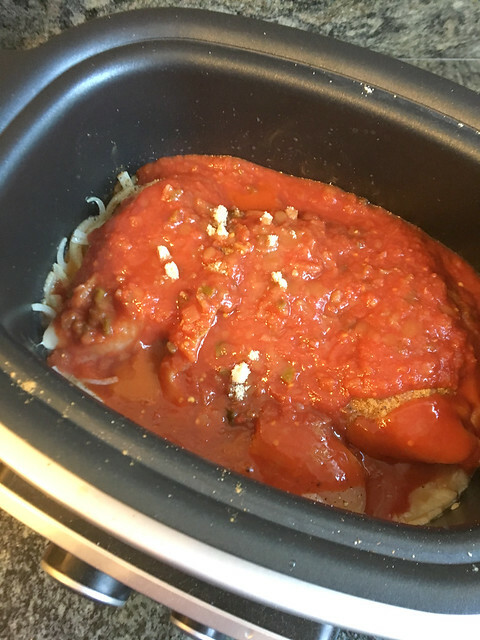 Before we headed out for the day, however, I threw dinner together in the crockpot so it would be ready when we go back to the house. Sara and I are big taco fans, so the choice of what to make was a no-brainer. 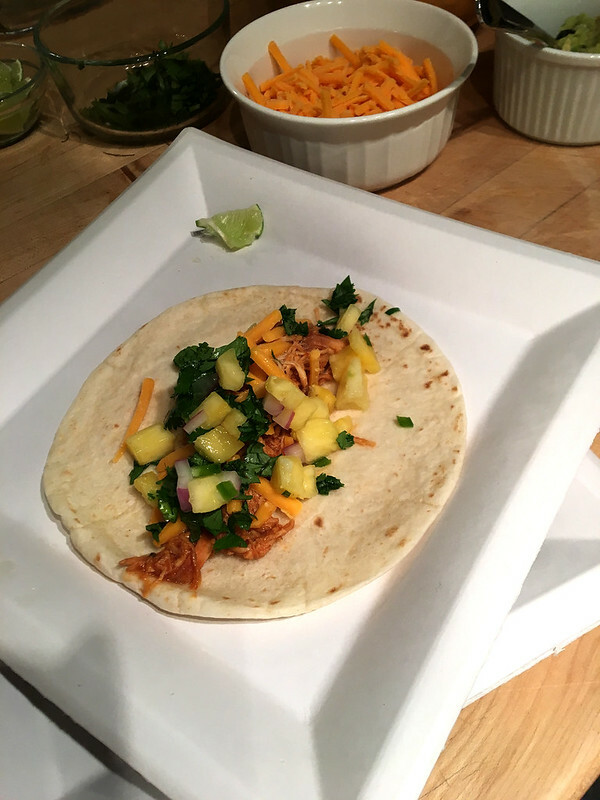 And these shredded chicken tacos are so easy to throw together that the most amount of work involved is cutting up and organizing all the toppings when you’re ready to serve. Side note: I have the Ninja 3-in-1 Cooking System, which allows me to sear/saute/bake/etc. so my instructions are specific to my that appliance. 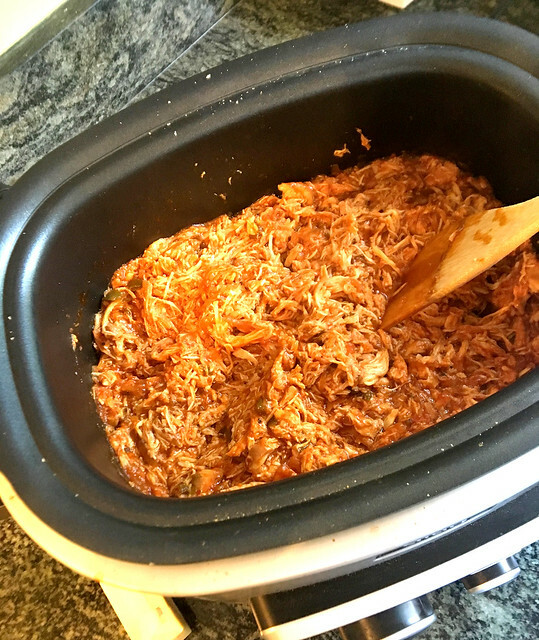 If you have a regular slow cooker, you can just throw everything in it, turn it on high, and let it go for 4-5 hours. To prepare the chicken: Slice a medium onion, thinly. Pour 2 Tbs olive oil into the cooker on the saute setting (high heat), and add the onion. Stir and allow onions to sweat – they will soften and become slightly translucent. Add 2-3 chicken breasts directly to the surface of the cooker and sear for a minute. Season with salt, pepper, ground cumin, ground coriander, and chili powder. Pour a small bottle of enchilada sauce and a jar of salsa over the chicken. I also added a small sprinkle of brown sugar to cut the acidity of the salsa and enchilada sauce. Honey or agave syrup would work here as well. Cover, and change heat setting to slow cook over high heat. Go about your day for at least four hours. Brunch to your hearts’ content. Go apple picking and complain about the heat. Buy all the apple things, plus tasty kettle corn. Go shopping for some new Penn State (or the college of your choice) gear. Then come home to a house that smells of taco amazingness, and shred that chicken to bits using a couple of forks. Reduce heat to warm. Taste and adjust for seasoning. 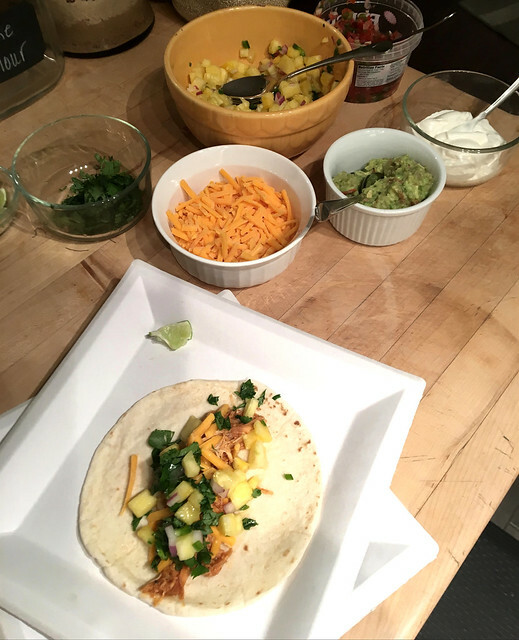 Arrange all the rest of your toppings – I had the pineapple salsa, shredded cheese, hot sauce, chopped cilantro, pico de gallo, a little guacamole (leftover from the chips and guac we snacked on before dinner), sour cream, and some small lime quarters. Heat up your tortillas of choice (I’m a soft flour kinda girl myself), and serve. 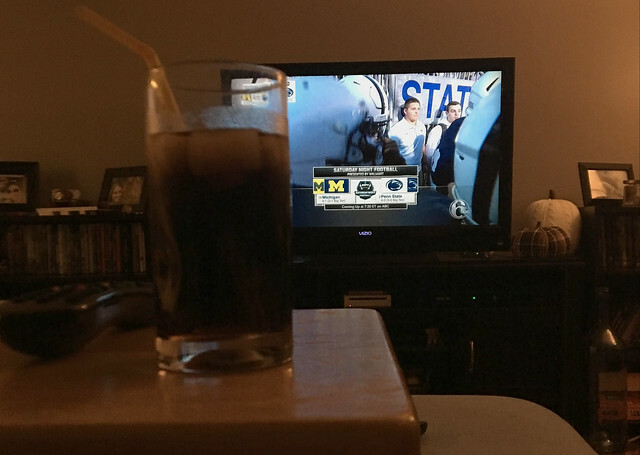 Enjoy along with your adult beverage of choice and some college football. Turn the slow cooker on to high heat/saute. Cut the onion in half, peel, and slice thinly. Add the olive oil to the cooker and allow to become slightly softened and translucent. 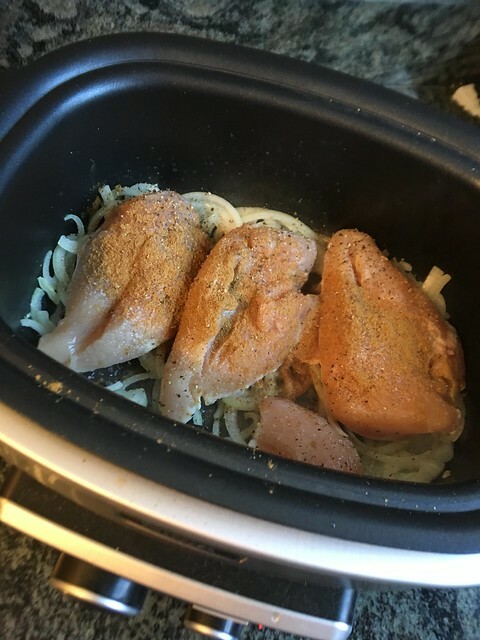 Add the chicken to the slow cooker and the seasonings. Sear the chicken for a couple minutes, add the salsa and enchilada sauce, switch heat setting to high/slow cook, and allow to cook for 4-5 hours. Shred chicken with two forks and reduce setting to warm. 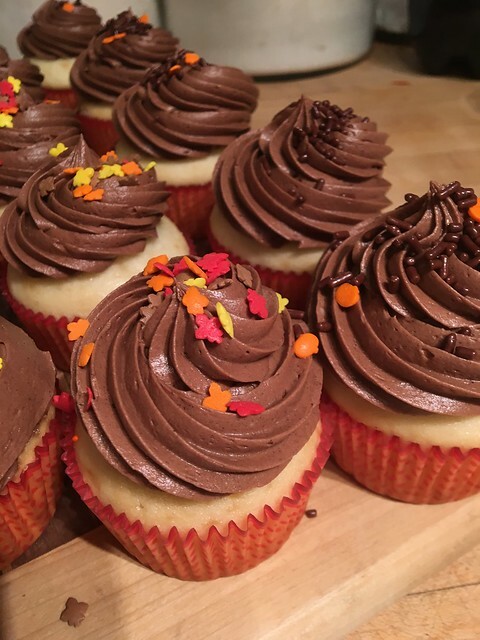 Serve with preferred toppings. 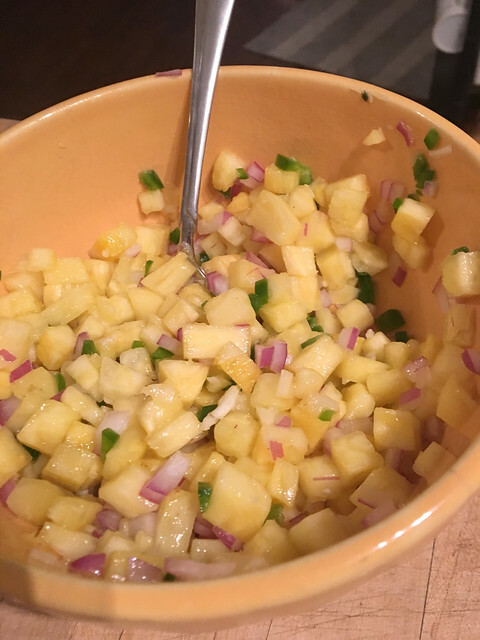 See pineapple salsa recipe below. Peel and core pineapple. Chop into smaller diced pieces. Dice onion. De-seed and dice jalapeno(depending on desired heat level). Mince garlic. Toss all into a bowl with lime juice and a pinch of salt. 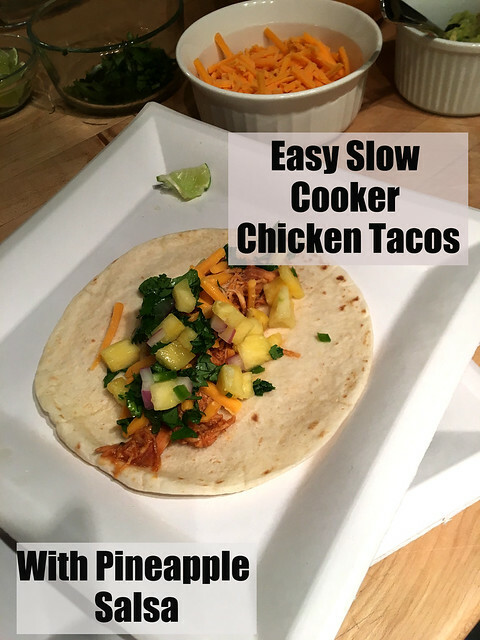 Serve with tacos, chips, or anything else you like.